Mike had the opportunity to investigate a few of Tomestones famous haunted establishments while speaking at the conference. Arrangements were made for conference attendees to have after hours access to The Bird Cage Theatre, , Nellie Cashman's Restaurant, Big Nose Kate's Saloon, The Longhorn Restaurant & The Blue Eyed Witch Metaphysical Shop. All of the investigations were conducted between 12 midnight and 3am over a two day period. This photo was taken by Mike Sullivan at the Longhorn Restaurant using his Reflective Photography method. 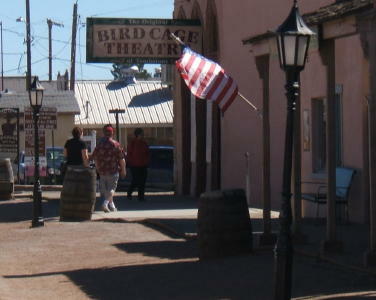 The very haunted Bird Cage Theatre (left). Two more photos from the Bird Cage Theatre. 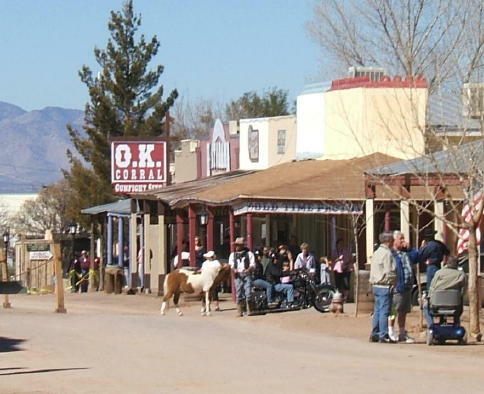 Allen Street in Tombstone , with the OK Corral in the backround. Picture taken by Mike Sullivan. The Swampers Bedroom in the basement of the Big Nose Kate Saloon. I'm Caleb - Recorded by Mike Sullivan at the Bird Cage Theatre. This voice came through loud & clear as our friend Mark was opening the recording session for the five people present during the session. 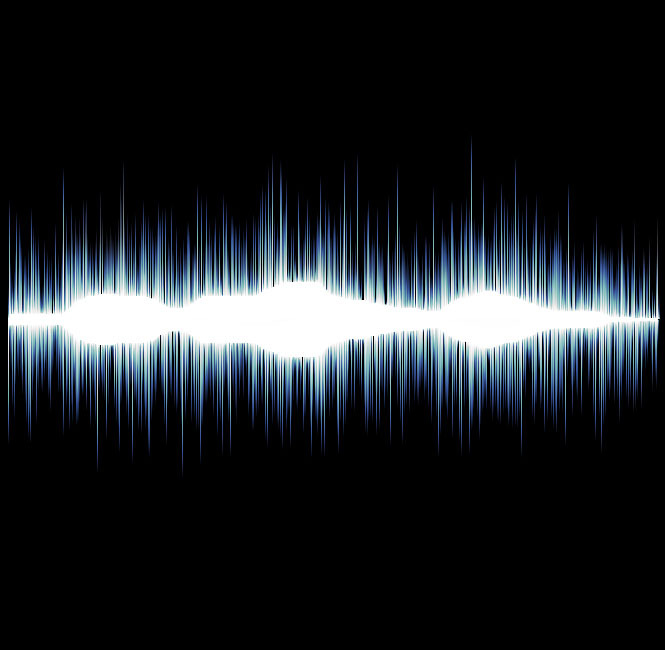 The segment of the recording where Mark speaks and "I'm Caleb" is heard. I've Had It - Recorded by Mike Sullivan at the Big Nose Kate Saloon. Sure - Recorded by Mike Sullivan at the Blue Eyed Witch after saying thank you for trying to come through to us. The segment of the recording where Mike says thanks and a woman replies "sure'. Greet Us - Recorded By Mike Sullivan at the Birdcage Theatre. Jess (or possibly) Yes - Recorded By Mike Sullivan at the Bird Cage Theatre after our friend Debby asks if anyone is with us. Copyright 2009. Karen Mossey/Mike Sullivan. All rights reserved.